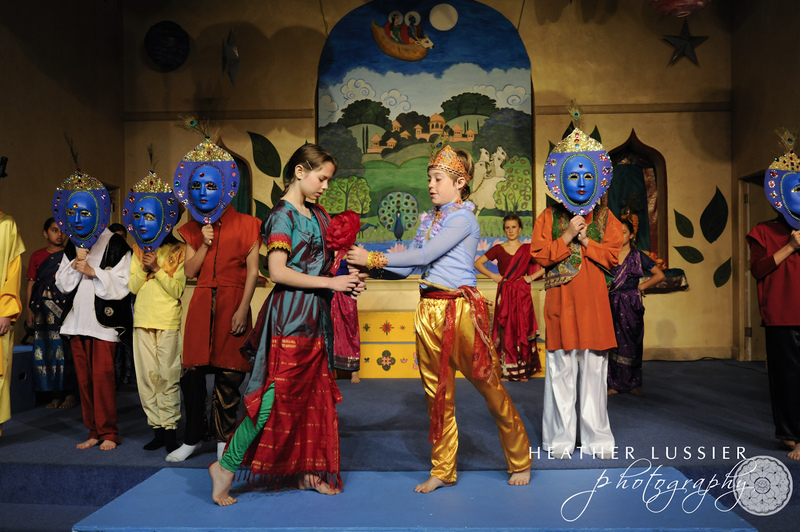 This year was a milestone for the Living Wisdom School Theater: their 20th annual production! 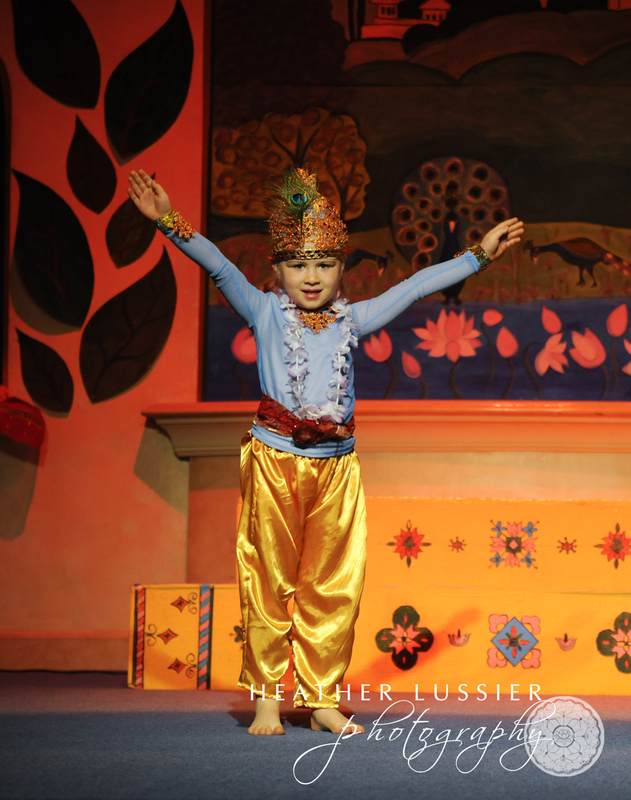 Sixty-one children and a handful of supporting teachers incarnated on stage for us in the lila — the divine play — of the life of Krishna. In the Bhagavad Gita, Krishna himself tells us that “in whatever way I am approached, in that way do I respond. All men come, by whatever path, to me.” This play was a delightful way to approach him. His story is said to uplift all those who even so much as hear it, and surely even more blessings come to us through the incredible care and dedication of this entire, remarkable school. As usual, the hero of our play was portrayed in turns by several different actors, representing different stages of Krishna’s life. It’s always fun to watch the effect this has, as you can come to see behind the individual representations, the same Divine source animating them all. As Nirmoha put it, you see the actors playing Krishna on the stage, and once in a while you can even see Krishna as well. I was particularly taken with the itty-bitty blond girl playing baby Krishna. Her dramatic dance of vanquishing the demons sent to slay him, and then standing triumphantly on stage with arms outstretched victoriously, was adorable, powerful, and moving, all at once. Such an unexpected confluence of impressions and feelings can just surprise you into an uplifting shift of consciousness, and God slips right into the gaps. You can find more photos of the play here, and Friday night’s performance was filmed if you want to get a recording from the school once it’s all been put together.